"Who goes to Santiago and does not go to the Savior, honors the servant and leaves the Lord." Surely you have heard before this old saying (which mentions Santiago and Jesus Christ himself) but what you may not know is that it is linked to the Camino de San Salvador, a route with medieval origins. This ancient path arises from the custom of some medieval pilgrims to deviate from their pilgrimage to Santiago de Compostela (either on the way out or on the way back) to visit the Cathedral of San Salvador, in Oviedo. Both pilgrims who traveled the Camino del Norte and those who walked the French route took the decision to approach Oviedo to contemplate for themselves the relics of great value of the Holy Chamber, built to safeguard the most important cathedral treasures. Thus, at a time when much of the Iberian Peninsula was controlled by Muslims, Oviedo became a core of Christian pilgrimage. 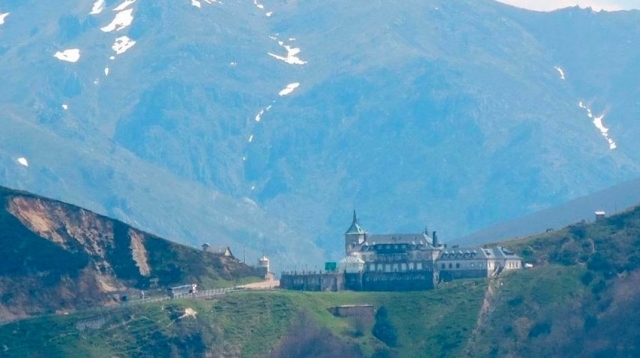 Precisely the detour that took the pilgrims who crossed the plateau in Leon to get to Oviedo, crossing the Port of Pajares, the Camino de San Salvador is born, an alternative to the Camino de Santiago and even more difficult than other Jacobean routes such as the Camino Primitivo . Once in Oviedo, if you want to continue walking to Santiago de Compostela, you can take the Camino Primitivo, which runs through the interior or the Camino del Norte, which runs along the coast. The Camino de San Salvador consists of 5 demanding stages and about 130 km of journey and although it is a route very little traveled by pilgrims today, it is one of the most special, for its symbolism and the landscapes it offers us. Despite not being able to compete in popularity with the routes to Santiago, the Camino del Salvador is well signposted and has shelters to shelter the pilgrims who travel. A notable part of its route passes through the mountain, so you have to go well prepared, preferably with previous experience in this type of routes. The Camino de San Salvador has the particularity of having its own pilgrim credential that we will have to stamp and a certificate -the Salvadorana- that is given to us at the end of the route, similar to the Compostela. The salvadorana can be obtained in the cathedral of Oviedo or in the hostel of the Asturian Association of Friends of the Camino de Santiago (C / Adolfo Posada Nº 3), while the credential can be obtained in the hostels of León (such as Las Carbajalas). It works just like the pilgrim's pilgrim's credential, which incidentally also helps us to do the Camino de San Salvador.